Mini Cobalt Blue Glass For Miniature Fairy Garden - 12oz Jar. A Great addition to add the magic to your Fairy Garden Store miniature garden. You can add the sparkle of cobalt to the bottom of a pond too! Realistic lookingBlue Glass Chips scaled to miniature fairy garden size. 12oz Jar. 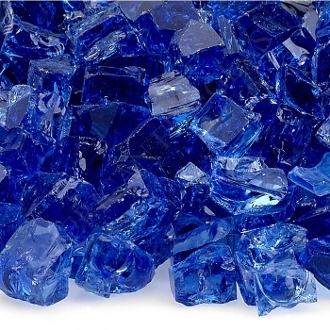 TIP: These chips work well with the glass pebbles to create a perfect blue "dry" stream.